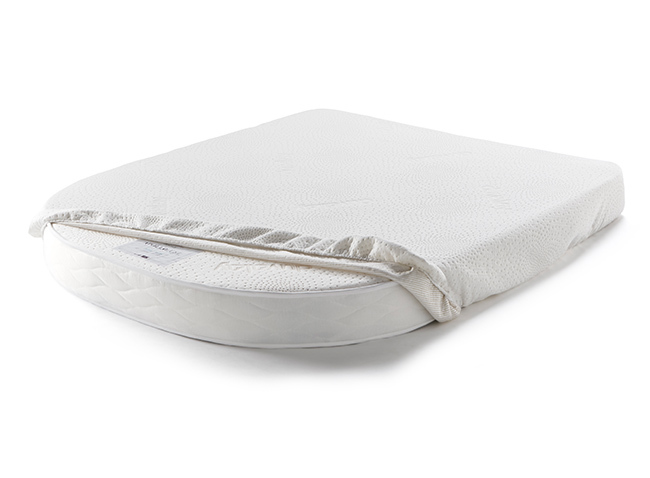 Our high quality 1000 Pocket sprung mattress is the ideal choice if you prefer a softer feel to your mattress. The individually wrapped pocket springs ensure that each sleeper’s weight is distributed evenly, ensuring every area of the body is supported and guaranteeing an excellent night’s sleep for all. Hand crafted in our Yorkshire factory it is finished with a luxury gold, quilted, embossed cover that enhances the overall sleep experience and helps eliminate heat retention. This more traditional mattress was chosen by The Swift Group to use in their full range of luxury Holiday Homes in 2016 and has proved so popular with customers that the agreement has been extended until at least 2018. Whilst this is an extremely comfortable mattress, the more traditional construction means that it is quite heavy. If overall vehicle weight is of concern then we recommend you take a look at our range of our ultra-light mattresses: The Duvalite Gravity, Apollo, and Eclipse.